This Molnija cal. 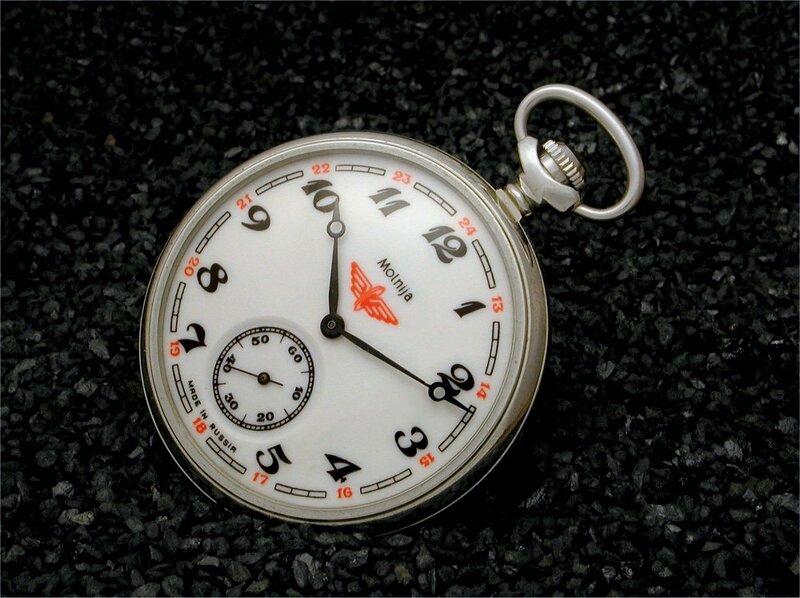 3602 pocket watch made in 1997 features a locomotive and tender in relief. 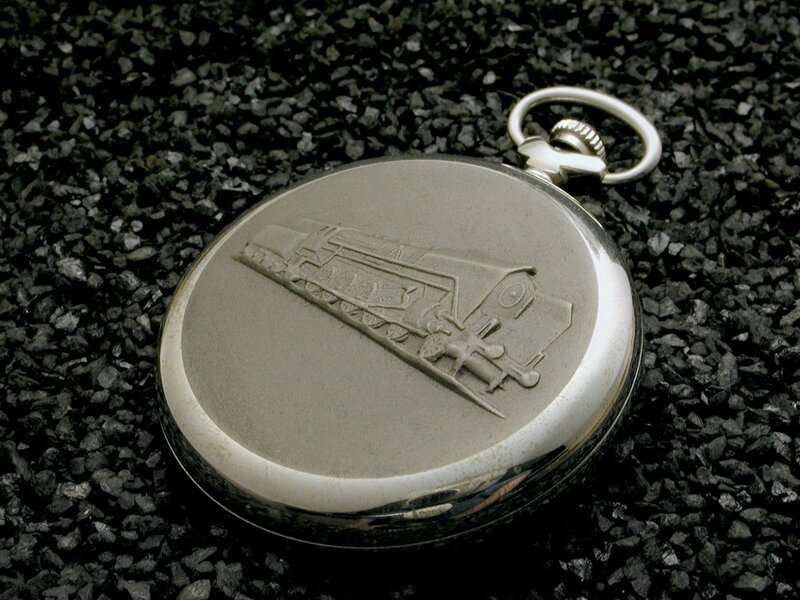 It's not unusual to find engraved images of locos on the back of pocket watch cases, but being raised like this and coated in the way it is a tad different. Here's the watch from the front.